At Afia, we believe that Behavioral Healthcare organizations should have access to technology and expertise to capitalize on the massive amounts of data they're collecting each day. Our solution brings you smarter, faster, and accessible business intelligence technology. When we decided to create an analytics service for behavioral health, our number one priority was to make it as easy as possible to harness data and create meaningful change. Sisense technology helps us do exactly that. 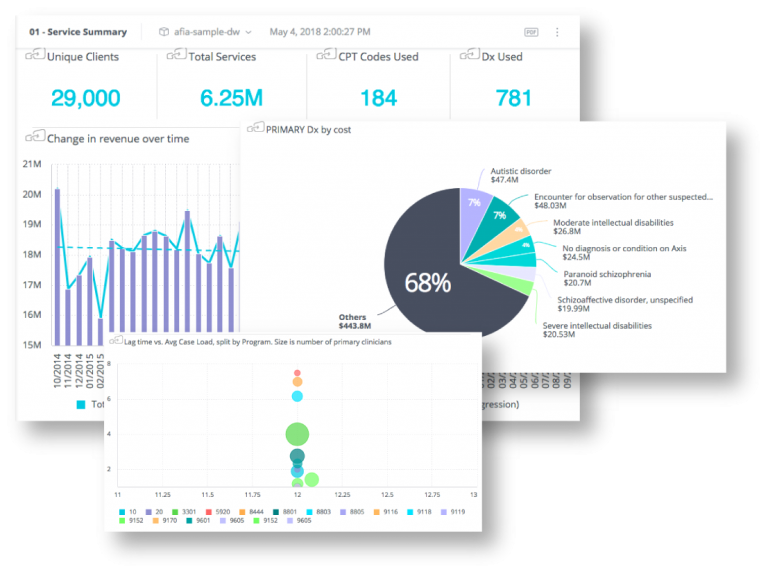 The easy-to-use dashboards and tools put you in control of your data; not the other way around. The dawn of the EHR age left Behavioral Healthcare providers with an overload of data, instead of a means to empower data-driven decision making and better outcomes. Sisense and Afia Analytics make it easy to eliminate barriers between you and your data through the use of an open API framework and end-to-end BI software. In short, you can leverage existing tools and data to get the customized platform that suits your needs. In-Chip Technology is a best-in-class business intelligence and analytics engine. A beautiful interface without the speed to sort through massive amounts of data creates frustration instead of results. In-Chip Technology turns days of waiting for a static report into agile datasets that get you what you really want – whenever you want it. Machine learning works hard even when you can’t. Machine learning is a form of artificial intelligence that learns and improves from your interaction with data over time. Afia Analytics gives you insights wherever you need them. Our managed analytics give you what you need from whatever device you have handy, so if you need to prepare for a meeting or make a snap decision, you are always informed. If you’re feeling overwhelmed by what to do with your data, check out the webinar below to learn how you can turn your disparate data into the hero of the boardroom. 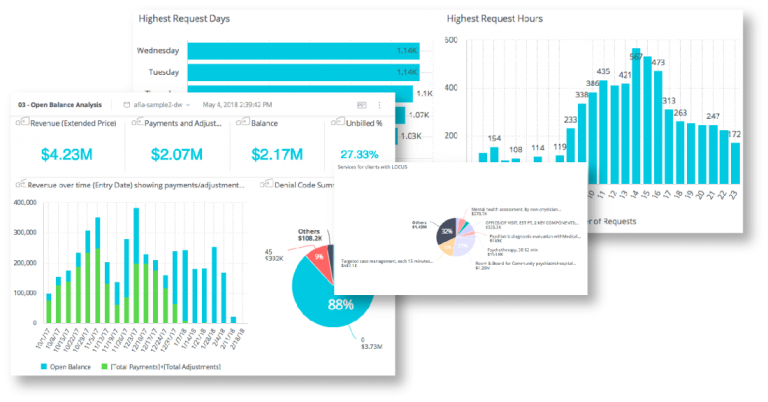 We will walk you through real-world examples that make your dashboards come alive. Click here to schedule a demo now and our team will walk you through how we can specifically solve your problems so that you can see how Afia Analytics fits into your future.